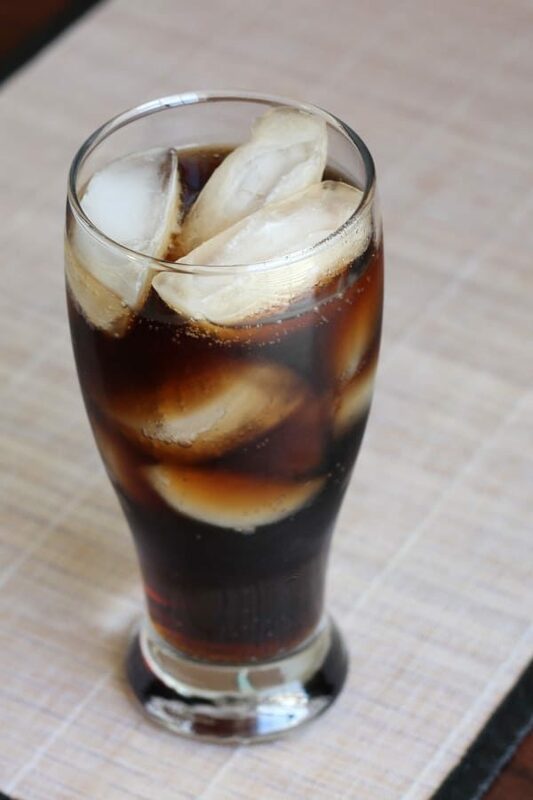 While the Jack and Coke cocktail is so common you might be a little embarrassed to order one, there’s an equally simple drink that’s not nearly as popular but is surprisingly good. The Lynchburg Beer blends Jack Daniels whiskey with root beer. And the taste is out of this world. It’s sweet, but there’s a hint of spice which contrasts wonderfully with the smoky and corn notes in the whiskey. I’ve seen several Jack and Coke lovers convert to this drink once they try it. Which cocktail you’ll prefer may depend on how you feel about root beer versus Coke. 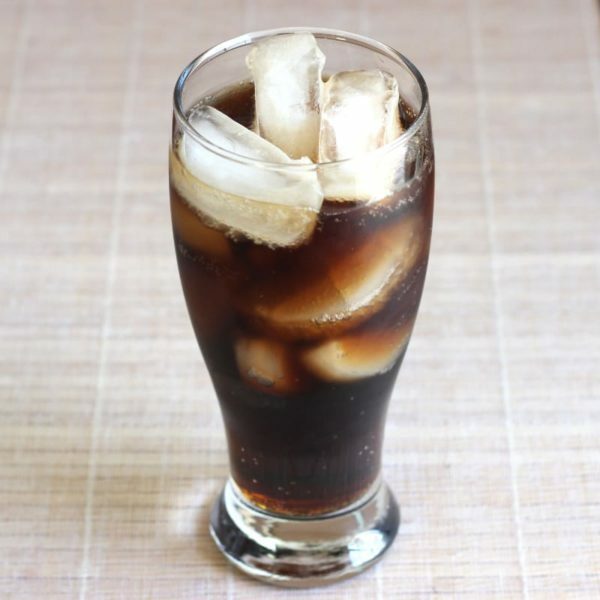 Root beer has a more intense flavor and tends to be more sweet than cola. So your preference may also vary with your mood, and how much sweetness you’re in the mood for. 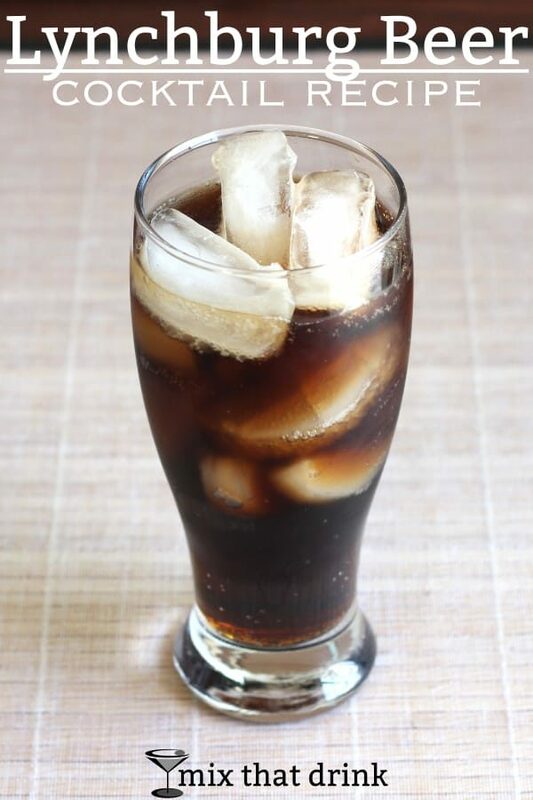 And if you drink diet sodas in your cocktails, you’ll almost surely love this drink. There are a lot of tasty diet root beers out there – in my opinion, much nicer than any of the diet colas I’ve tried. This drink is great with any brand of root beer. Of course, the better the root beer tastes to you, the better you’ll like it. So be sure to pick a root beer you like the taste of. You get two delicious ounces of Jack Daniels whiskey in this one. Even though it’s mixed with ten ounces of root beer, which makes it a very long drink, you can definitely take the rough edges off with this cocktail. In that way, it is a lot like the Jack and Coke, except in flavor. So if you enjoy your Jack and Cokes, this cocktail is one you should definitely try. This is a very easygoing drink that most people love. That makes it terrific for parties. And there’s a simple non-alcoholic option: just serve root beer alone to anyone who isn’t drinking. While this could go flat if you pre-mixed a pitcher, you can pour the whiskey into 12-ounce glasses in advance and just fill with root beer when a guest is ready for one. This drink is really easy to pair with foods. Just think about diner foods – hamburgers, hotdogs, chili fries. The refreshing carbonation cuts through the grease for a nice contrast. In fact, it’s a perfect drink for barbecues and any warm weather outdoor get-togethers. It’s bubbly, cold and delicious, which makes it a great complement to heavy foods. It’s also great for enjoying by the pool or on a night out dancing. It has enough non-alcoholic liquid to rehydrate you as you sweat, and that helps you enjoy yourself more. The Lynchburg Beer blends Jack Daniels whiskey with root beer for a refreshing taste that's out of this world. Here's how to make this simple, delicious cocktail. Pour the Jack Daniels over ice in a root beer mug (ice is optional).